Cell culture is used in identifying the cause of disease as cells are easily manipulated using external growth factors and changing physiological conditions. In addition, the cells can act as in vivo system and hence the internal signaling pathways can be studied accordingly. Cell culture is now used for studying the effect of the drug and simultaneously useful in medicinal purpose. Also, currently, scientists are using stem cells for studying the metabolic pathways, medicinal purpose, and organ regeneration. 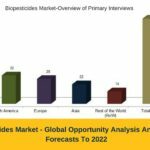 According to the latest publication from Meticulous Research, the global cell culture market is expected to grow at a CAGR of 9.4% during the forecast period to reach USD 11.2 billion by 2024. Founded in 1891 and headquartered at New Jersey, United States; Merck is engaged in the manufacturing of products and services for genomics, proteomics, and cellular analysis. The company provides products for analytical and sample preparations, biopharmaceutical manufacturing, industrial microbiology, life science research, and IVD materials & reagents. Merck provides a wide range of products through its subsidiaries, Sigma-Aldrich and Merck Millipore. 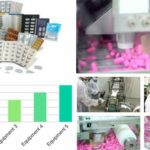 The company operates through the following business segments: pharmaceutical, animal health, and others. Also, there are three Merck Millipore life science business sectors: research solutions, process solutions, and applied solutions. The company provides cell culture products under life science research business sector. With its subsidiaries and network of distribution, the company has its presence in North America, Europe, Asia Pacific, Latin America, and the Middle East and Africa. 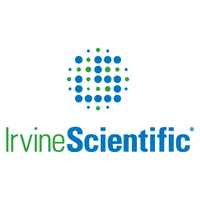 Founded in 1970 and headquartered at Santa Ana, California, U.S.; Irvine Scientific is engaged in manufacturing and developing cell culture media, reagents, and medical devices for research, industrial, and clinical applications. The company provides products and services to researchers working in cell therapy and regenerative medicine, assisted reproductive technology & cytogenetics, and industrial cell culture for the large-scale production of biotherapeutics & vaccines. The company operates through the following business segments: biopharmaceuticals, reproductive medicines, clinical diagnostics, general research, and cell therapies. The company provides cell culture products under all business segments. With its subsidiaries and a strong network of distribution, the company has its presence across North America, Europe, Asia Pacific, Latin America, and Middle East & Africa. Founded in 1994 and headquartered at Chicago, Illinois USA. ; GE Healthcare is engaged in manufacturing medical equipment. It is a subsidiary of General Electric (GE). The company has a major focus on medical imaging and information technologies, medical diagnostics, patient monitoring systems, drug discovery, biopharmaceutical manufacturing technologies, and performance solutions services. It provides products in the categories of advanced visualization, bone health, clinical parameters and accessories, computed tomography, diagnostic cardiology, EP recording, metabolic health, healthcare IT, hemodynamic recording, and interventional image-guided systems, life sciences, and magnetic resonance imaging. The company provides cell culture products under Life Sciences business segment. With its subsidiary and a strong network of distribution, the company has its presence across 140 countries including North America, South America, Europe, Asia, and Australia. Founded in 1999 and headquartered at Santa Clara, California, United States; Agilent Technologies is engaged in life sciences, diagnostics, and applied chemical markets to provide the focused solutions by offering instruments, software, and services. The company operates through the following business segments: The Life Sciences and Applied Markets Group, Agilent CrossLab Group, and Diagnostics and Genomics. The company provides cell culture products under both Life Sciences & Applied Markets Group, and Diagnostic & Genomics business segment. With its various subsidiaries and a strong network of distributors, the company has a leading position in the U.S., Asia Pacific, and Europe. Founded in 2006 and headquartered at Waltham, Massachusetts, United States; Thermo Fisher Scientific is engaged in providing analytical instruments, equipment, reagents and consumables, software and services for research, manufacturing, analysis, discovery, and diagnostics services under the brands Thermo Scientific, Applied Biosystems, Invitrogen, Fisher Scientific, and Unity Lab Services worldwide. The company operates through four business segments namely, Analytical Instruments, Life Sciences Solutions, Laboratory Products and Services, and Speciality Services. 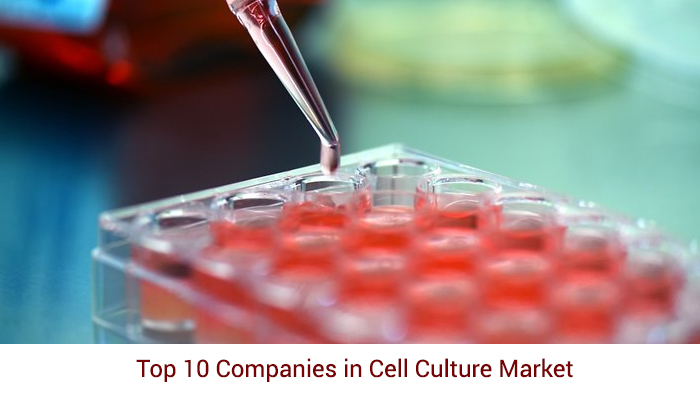 The company provides cell culture products under life Sciences solutions business segment. With its subsidiaries and a strong network of distributors, the company has its presence across North America, Europe, Asia Pacific, Latin America, and Middle East & Africa. The subsidiaries of the company include Dinex, Alfa Aesar, Affymetrix, FEI Company, and Phadia. A report into the projected growth of the current cell culture market by Meticulous Research® has produced some incredible forecasts for the industry. 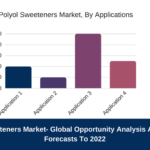 By 2024, it’s expected to have grown at a CAGR of 9.4%, reaching over $ 11 billion. Founded in 1897 and headquartered at Basel, Switzerland; Lonza is engaged in custom development and manufacturing of active pharmaceutical ingredients to innovative dosage forms for the pharma and consumer health and nutrition industries. 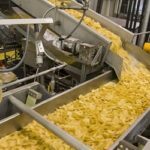 The company operates through two business segments: pharma& biotech, and specialty ingredients. The company offers products under 1,000 brands across the world. The company provides cell culture products in the pharma & biotech business segment. With its subsidiaries and a strong network of distribution, the company has a leading position in North America, Europe, Asia Pacific, and other countries. 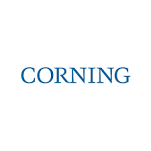 Founded in 1851 and headquartered at New York, United States; Corning Inc. is engaged in manufacturing and developing products involved in material science. The company operates through various business segments such as display technologies, optical communications, specialty materials, environmental technologies, and life sciences. The company provides cell culture products under the life sciences business segment. With its subsidiaries and a strong network of distribution, the company has a leading position in North America, Europe, Asia Pacific, and others. Founded in 1984 and headquartered at Massachusetts, United States; Sera Care is engaged in providing diagnostic quality controls, biological materials, and reagents to in vitro diagnostics developers, clinical laboratories, and life science researchers worldwide. The company provides reliable and high-quality R & D materials for assay development, and production. With its subsidiaries and a strong network of distribution, the company has a leading position in North America, Europe, Asia Pacific, and Middle East & Africa. Founded in 1906 and headquartered at New Jersey, United States; BD is engaged in the development, manufacture, and sale of a broad range of medical supplies, devices, laboratory equipment, and diagnostic products used by healthcare institutions, life science researchers, clinical laboratories, the pharmaceutical industry, and the general public. The company operates through two business segments: BD Medical, and BD Life Sciences. The company provides cell culture products under BD Life Sciences business segment. With its subsidiaries and a strong network of distribution, the company has a leading position in North America, Europe, Asia Pacific, and other regions. Founded in 1994 and headquartered at Freiburg, Germany; CellGenix is engaged in manufacturing and developing reagents and media for ex vivo cell culture. The products are used for cell therapy, gene therapy, regenerative medicines, and clinical trials across the world. The company provides products based on type of cell. With its subsidiaries and a strong network of distribution, the company has a presence in more than 30 countries.